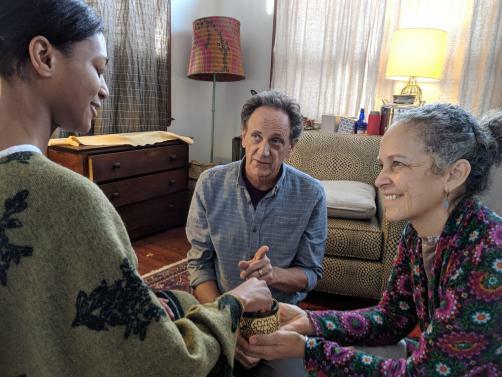 In November 2018, a Phase 2 clinical trial found that 76% of patients who underwent MDMA-assisted psychotherapy no longer had PTSD, twelve months after undergoing treatment. Louis Goss looks into the process through which an underground therapy entered FDA approved clinical trials. On the 24th of December 1912, German pharmaceutical company Merck of Darmstadt, filed patent 274350. The patent, filed to the German Imperial Patent Office in Berlin, is an unassuming one and refers only to the properties of Merck's obscure creation. Methylsafrylamin, the compound that is now known as MDMA, was first synthesised as a means to an end, rather than with any particular purpose in mind. Developed as a precursor to the clotting agent hydrastinine, the chemical was manufactured and patented as part of an effort to avoid existing patents on the synthesis of competitor Bayer's haemostatic drug. After a standard procedure patent was filed, the compound was forgotten for a number of years. It wasn't until the early 1970s that the drug was rediscovered by American chemist and psycho-pharmacologist Alexander Shulgin. While working at Dow Chemical Company, the senior research scientist responsible for the discovery of the first biodegradable pesticide Zectran came across MDMA. At the same time, the drug was becoming increasingly popular amongst those interested in MDMA's effects for recreational purposes. As described by Shulgin: “Outside of the therapeutic community there was, as there almost always is in these cases, a person or a few people who figured out that they could sell MDMA and make a lot of money... The whole thing came to a crisis in Texas where it was used to such an extent that the authorities became concerned.” MDMA was made a schedule 1 controlled substance in the United States in 1985. The drug had however been illegal in the UK since 1977. It was at this point Rick Doblin appeared. In 1986, a year after the drug was made illegal in the United States, Doblin founded the Multidisciplinary Association for Psychedelic Studies (MAPS), an organisation established with the primary intention of promoting MDMA-assisted psychotherapy. Born in 1953, Doblin was introduced to MDMA while studying under Czech psychologist Stanislav Grof, a clinical psychiatrist known for his research into the effects of LSD. Firmly believing in the potential of MDMA as a psychotherapeutic aid, Doblin developed the belief that one could effectively work within the system, in order to achieve change. “I started realizing that you could work with the system. Part of the system is designed to help us fight the system. There’s a lot of good things built into the mainstream,” Doblin said in an interview in 2014. Since being formed in 1986, MAPS has gone on to achieve significant success in the area of psychedelic research. Following decades of work, the non-profit is now entering Phase 3 trials for the use of MDMA-assisted psychotherapy as a treatment for severe post-traumatic stress disorder (PTSD). As of now, MDMA-assisted pyschotherapy has proved astoundingly successful in treating PTSD. One recent Phase 2 trial found that 76% of patients who underwent MDMA-assisted psychotherapy no longer had PTSD twelve months after undergoing treatment. However the process through which these trials were achieved has been long and convoluted. The main obstacle in this process has come from regulatory bodies. In 2008, a meta-analysis conducted by Harvard psychologist Irving Kirsch, found that 82% of the response to antidepressants could be accounted for by the placebo effect. While the meta-analysis itself is mired in controversy, the paper demonstrates the challenges associated with studying treatments for mental health conditions, particularly when it comes to the placebo effect. The term 'set and setting' was first used by Harvard University psychologist and LSD pioneer Timothy Leary, in describing the context in which one undertakes a psychedelic experience. The phrase, along with “turn on, tune in, drop out”, achieved widespread recognition, and in some circles, notoriety, during the countercultural era of the 1960s. While set refers to the 'mindset' of the individual going into the psychedelic experience; setting refers to the environment and cultural context within which a person undertakes the psychedelic 'trip'. Both 'set and setting' can have a profound effect upon the way through which one experiences the effects of a psychedelic drug. As such, in conducting a clinical trial for a psychedelic assisted course of psychotherapy, 'set and setting' must be taken into account. In many ways, issues surrounding 'set and setting' have plagued psychology and the social sciences in recent years. The question came to the forefront in a paper titled “The weirdest people in the world?” which claimed that “Behavioural scientists routinely publish broad claims about human psychology and behaviour in the world's top journals based on samples drawn entirely from Western, Educated, Industrialized, Rich, and Democratic (WEIRD) societies.” This in turn leads to a skewed perspective in which empirical claims are made on the grounds that they are true for a WEIRD subset of individuals. The unconventional nature of the treatment, and the illegality of MDMA itself, meant that the process through which MDMA-assisted psychotherapy entered clinical trials differed greatly from the conventional process through which the majority of pharmaceutical drugs enter major studies. As described above, knowledge and appreciation of MDMA-assisted psychotherapy was spread through relatively small networks of particularly open-minded and foreword-thinking psychotherapists, who had for the most part seen potential in the treatment as individuals. Above all, this led to a reliance on 'real world evidence' and anecdotal reports. Since the ‘golden era’ of SSRI’s, there has been a 70% drop in the number of research programmes looking into drugs for mental health conditions. Meanwhile, the pharmaceutical industry has largely held back from investing into research into new psychopharmacological drugs in recent years. The area of mental health still suffers from chronic underinvestment. This overall lack of funding was epitomised by the findings of the UK Health Research Analysis 2014 report, which revealed that just 5.8% of the health research budget is spent on mental health research. This represents just £9.75 per person for each person living with a mental health condition, 150 times less than the amount spent on those with cancer. However, research into psychedelic assisted psychotherapy is beginning to take hold. Compass Pathways, a London-based biotech, whose “first major initiative is developing psilocybin therapy through late-stage clinical trials in Europe and North America for patients with treatment-resistant depression,” was founded in 2016. The company is now initiating Phase 2b trials into the effectiveness of ‘magic mushroom’ ingredient psilocybin as a treatment for treatment-resistant depression. Submitted by Harry Bells on Tue, 18/12/2018 - 07:37. This therapy refers to healing practices. That engages the intake of a drug. Studies into the healing help of psychedelic matters with LSD and psilocybin. It was a trendy area of research in the 1950s and ‘60s. Before the drugs became used and outside proven settings and made banned. Since the early 1990s a new age of scientists has revived the research. Proven trials have shown that consuming a psychedelic in a proscribed. And watched setting can induce a skill that is safe and that provokes strong mental and manners change. This treatment has shown promise as a cure for alcohol belief concern linked to a mortal illness and chronic PTSD. The research is started to study its value in relation to neurotic mess. The treatment anti sadness and social worry allied to autism among other likely things. To getting more information you can use this best essay writing service to have a right helper for your writing related works. But not each one gave up on psychedelics. Psychiatrists are who had skilled the drugs for them self. The read the bit of pre ban reports are on their use. It left amazing whether a useful cure had shelved for biased reasons. Michael Mithoefer in picky schemed by the option that MDMA offered something new for the growing and willful problem of PTSD. People with mood mess as well as who are unresponsive to usual remedies. They might be able to ditch their anti depressants and anti worry drugs. Those with mortal illness could enjoy their left over days without the fear of death looming over them. The people with PTSD could return to a normal life clear by coma flashbacks. And rehab centers for substance use and eating chaos could empty out as more people turn to psychedelics. A single treatment with psilocybin has shown to relieve disabling worry in people with cancer. The drug has also shown to be a useful cure for substance use mess. MDMA can provide help to people from PTSD. Submitted by Arvind Kumar on Thu, 24/01/2019 - 06:42. If you are excited to see the shortcut of the windows that whre you can see wifi password windows 10 it create the shortcut to find the perfect way and you can easily and fast connection will be get.